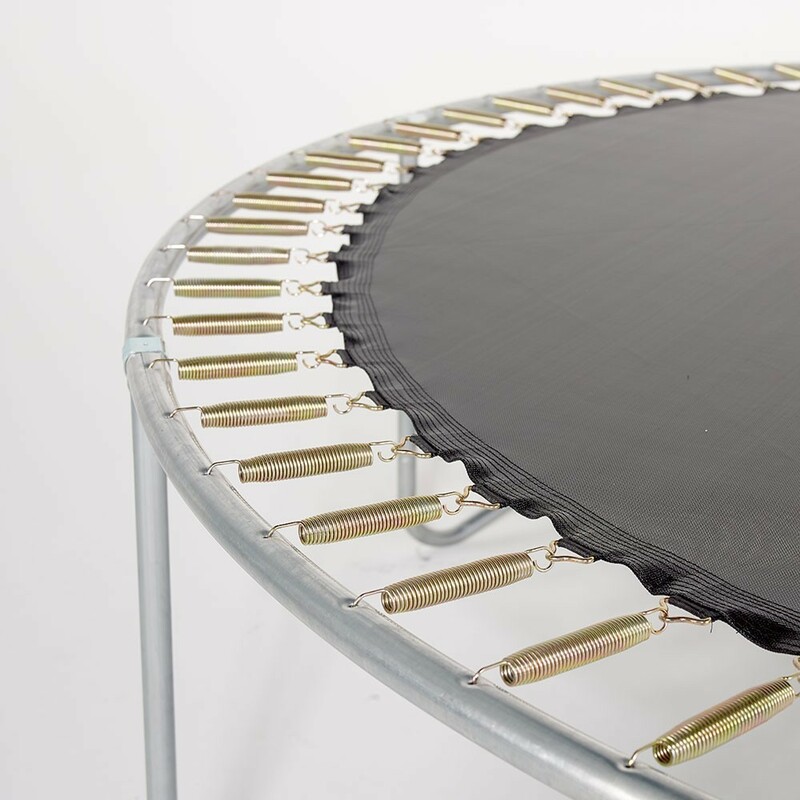 Jumping pad for round trampoline of 4.27 m with 96 springs of 230 mm. 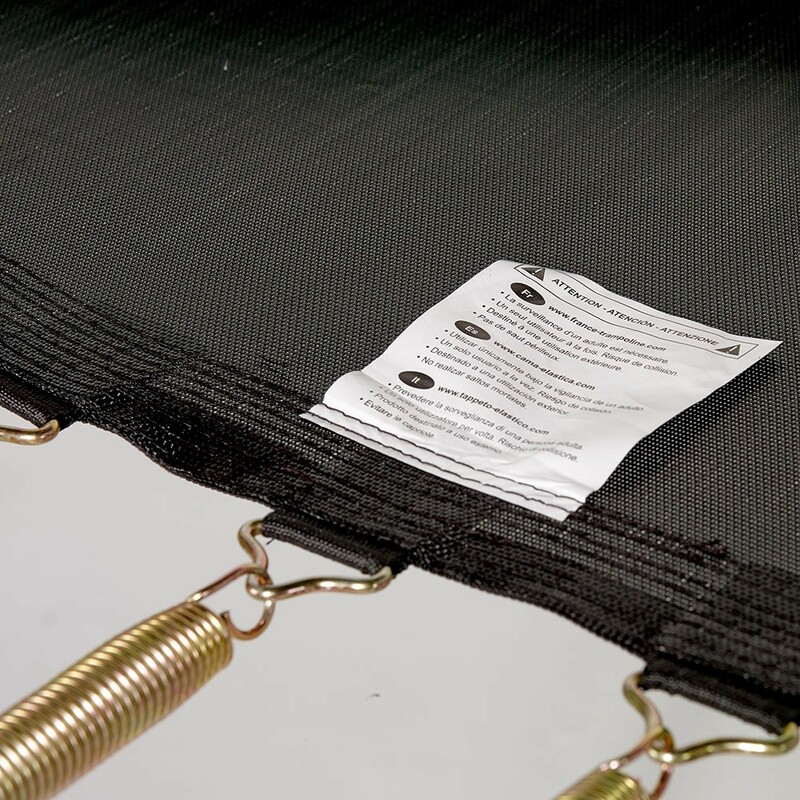 If the jumping mat on your trampoline is damaged, we recommend replacing it with this product adapted to big trampolines. 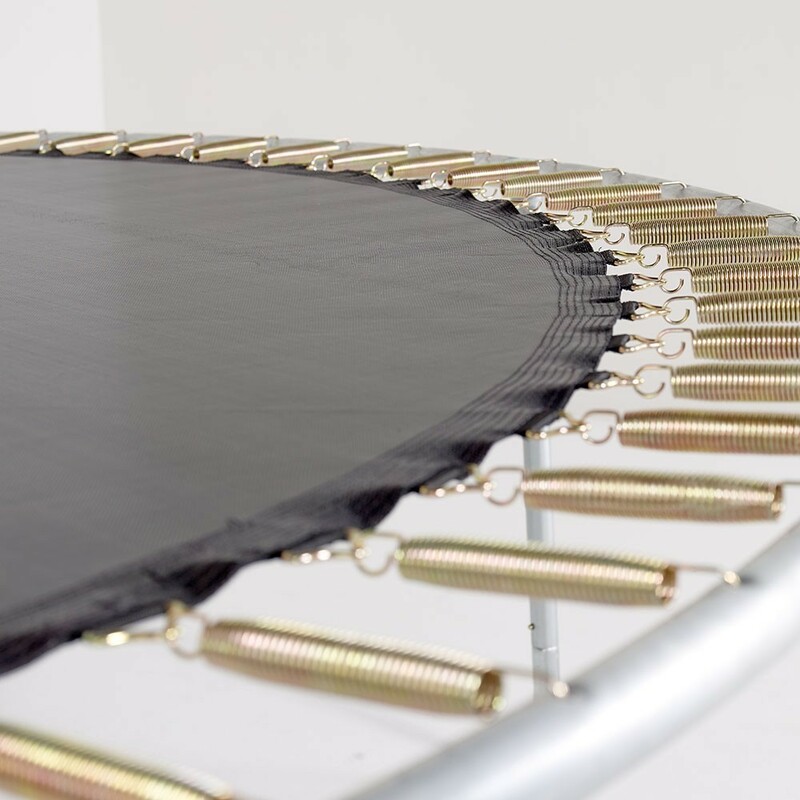 This jumping mat has been specifically designed for round trampolines of 4.30 m in diameter with 96 springs of 230 mm in length, whatever the brand. It is solid and will ensure perfect durability. 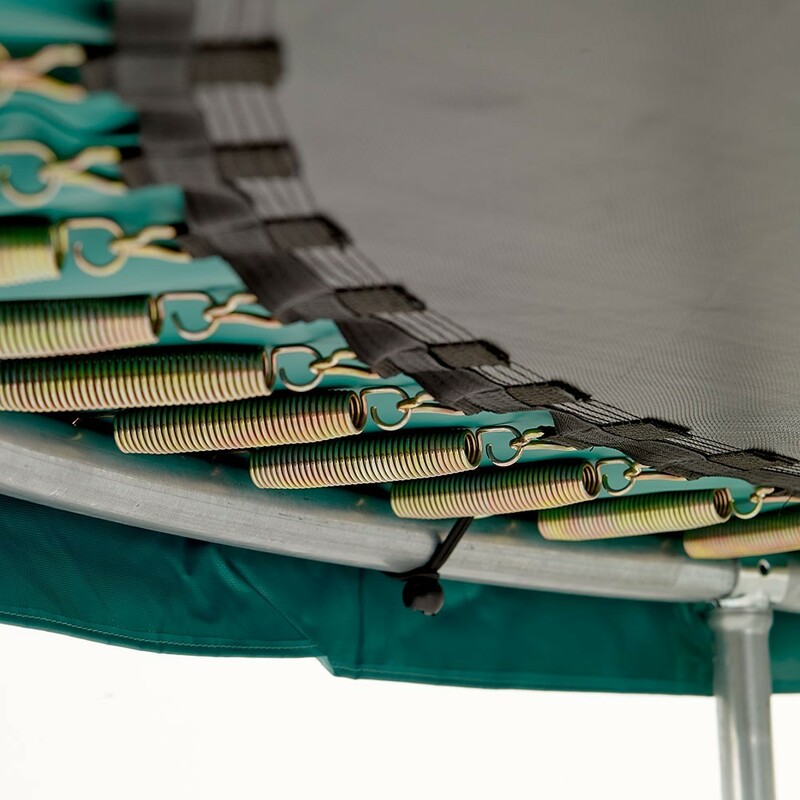 - This jumping mat is adapted to the round Booster 430 trampoline, with 96 springs of 230 mm in length. 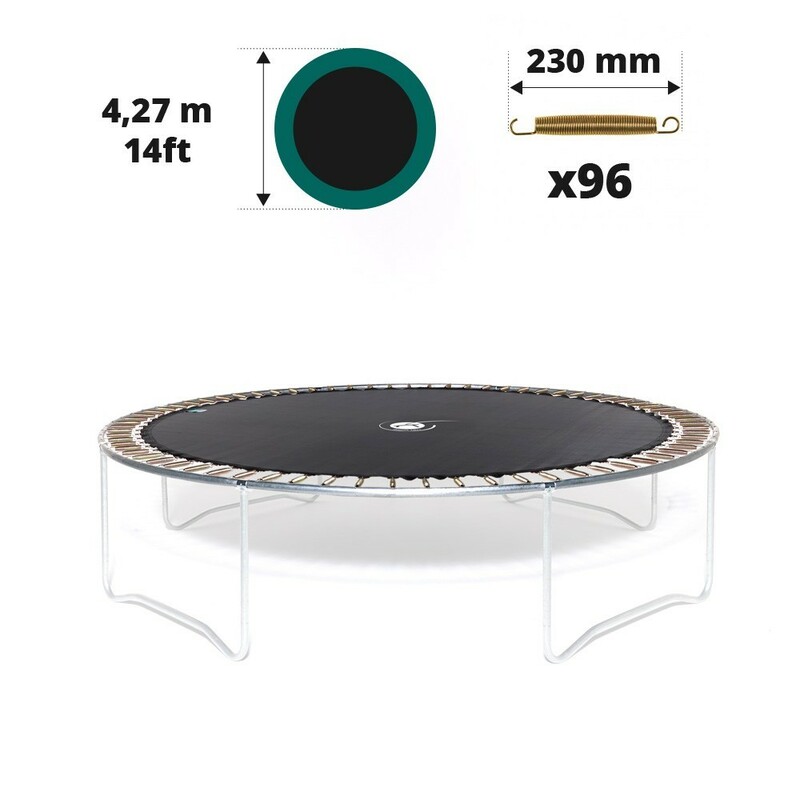 It is also adapted to any round trampoline with similar characteristics even if it is not part of France Trampoline’s range. 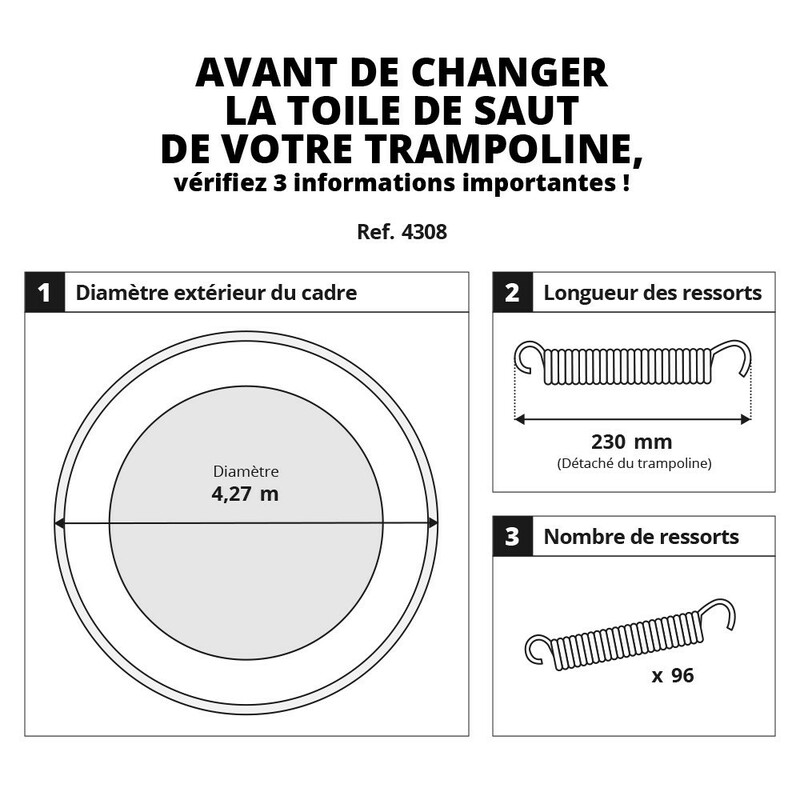 Please ask someone to help you measure the diameter of your trampoline precisely before ordering. 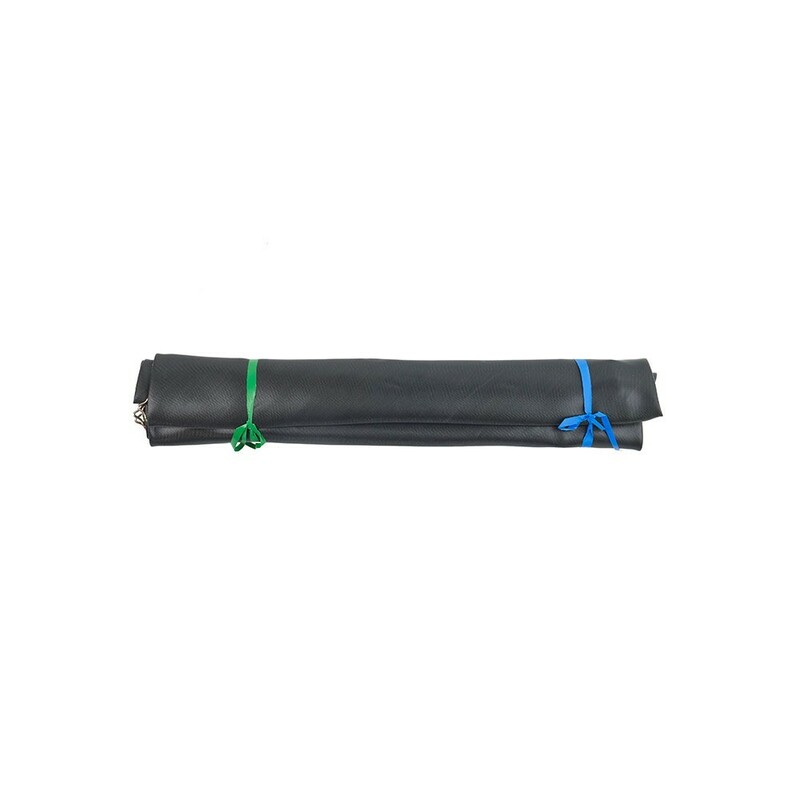 - This jumping mat is made from small webbed polypropylene or black mesh, this fabric is incredibly solid and flexible. It has been UV protected which protects it from the sun. You will be able to leave your trampoline outside all year round without worrying about the weather. - Each strap has been reinforced to withstand extra weight. 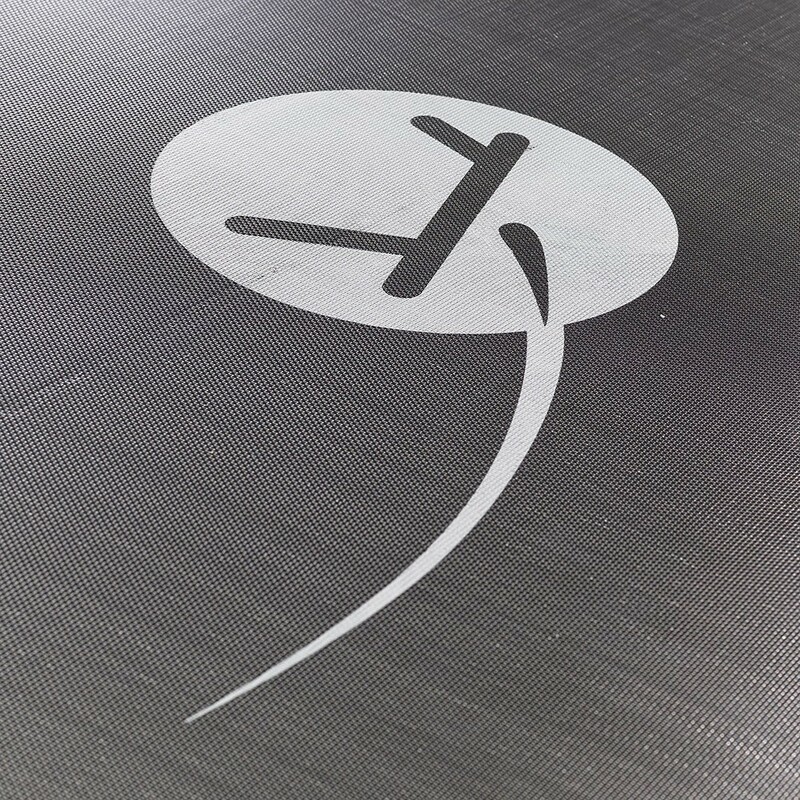 There are 8 rows of stitching on this jumping mat, as well as a reinforcement strip around the whole circumference of the pad. This ensures its solidity. Hot-dip galvanised steel rings which are rust-proof, are fixed at the end of the rows of stitching to reinforce the whole structure. - Warning, this jumping mat is designed for 4.30 m trampolines with 96 springs of 230 mm in length. 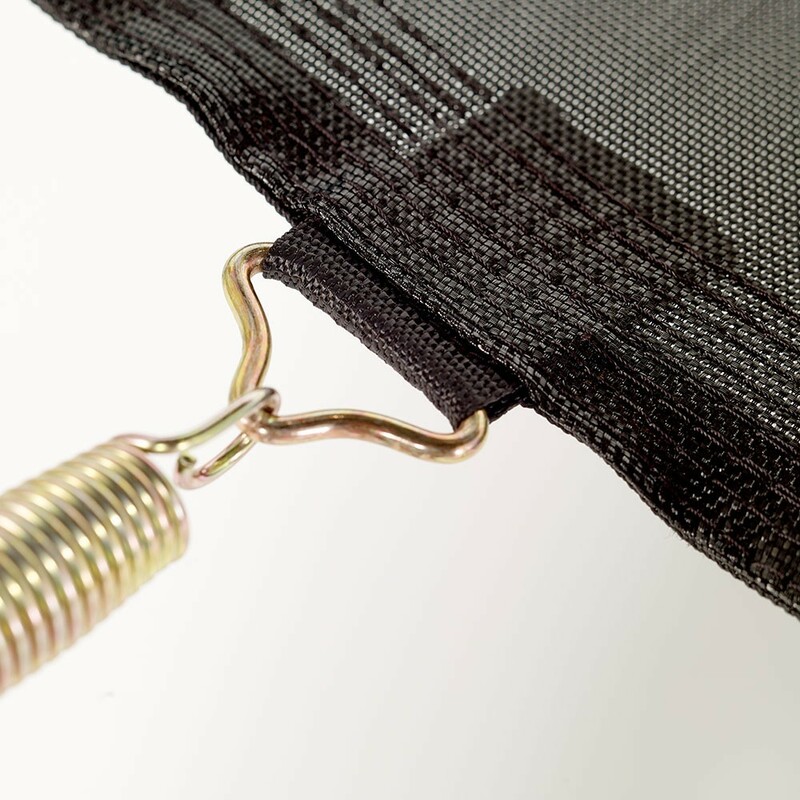 If your springs are longer or shorter, other jumping mats are available on our website. Please measure your springs carefully before ordering. Just remove a spring from the framework and measure its initial length from hook to hook.